The sports medicine market has undergone a revolution with the introduction of modern and high-tech medical devices, products, and techniques. Market forecast suggests that the global sports medicine market will be worth over US$5 billion in a couple of years, growing at an almost double-digit CAGR. The need for minimally invasive surgeries has led to innovative diagnostic and therapeutic procedures in the field of sports medicine. Common injuries addressed in sports medicine include calf stiffness, arthritis, flat feet, tennis elbow, chronic back pain, anterior cruciate ligament (ACL), posterior cruciate ligament injuries (PCL), rotator cuff injuries, heel spur, Achilles tendon injury, hammer toe, Morton’s neuroma, and plantar fasciitis. North America dominates the worldwide market for sports medicine, with most of the leading manufacturers based in the U.S. However, Asia-Pacific and Latin America are considered to be the most lucrative markets for sports medicine and are expected to witness rapid growth in the coming years. Factors that drive these regional sports medicine markets include growing interest in sports such as basketball and soccer in emerging countries such as India, China, Brazil, and Korea, rising incidences of sports injuries, and increasing awareness regarding fitness and physical activity among the geriatric population. Moreover, increase in arthroscopic procedures, improvement in surgeon training, and penetration of technologically advanced medical devices and products will also fuel the growth of the sports medicine market in Asia-Pacific and Latin America. Some of the leading companies operating in the global sports medicine market are Smith & Nephew, Cramer Sports, Breg, Arthrex, Mueller Sports, Cho-Pat Sports, BSN Medical, Biomet, Linvatec ConMed, Shock Doctor, DePuy Mitek, ArthroCare, McDavid, and Stryker. Marketresearchreport.biz offers an encyclopedic database of reports on the global sports medicine market for those seeking to invest in the growing industry. With razor-sharp and keen insights, the reports cover the scope and dynamics of the sports medicine market and analyze the various segments and sub-segments for better understanding. Clients will find the most current research data on sports medicine that will help them plan their corporate strategy to gain a competitive edge over the rest. This report studies the global market for sports medicine devices from the perspective of various orthopedic as well as recovery and support products. The orthopedic sports medicine products market is broadly segmented into artificial joint implants, arthroscopy devices, fracture repair devices, prosthetics and orthobiologics. The recovery and support sport medicine products include braces, performance monitoring devices, accessories and other recovery products in cryotherapy, thermotherapy, ultrasound therapy, electrical stimulation and compression clothing, based on the availability of the products in the market. Geographically, the market is analysed for four major regions, namely North America, Europe, Asia and Rest of the World (RoW). Each of the segments has been analysed on the basis of its current and future market size for the period 2011 to 2019, in terms of revenue generation in USD million, considering 2011 and 2012 as the base years. The compounded annual growth rate (%CAGR) for each market segment has been provided for the forecast period 2013 to 2019 along with the estimations of market size. This report focuses on the sports medicine market, which includes implants and arthroscopic capital equipment. 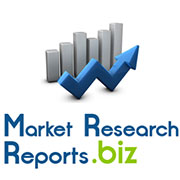 The orthopedic sports medicine market has been estimated in this report and covers the US, France, Germany, Italy, Spain, the UK, Japan, Brazil, China and India. The report provides unmet needs, future adoption and compound annual growth rates (CAGR). GlobalDatas analysis shows that while the orthopedics implant market is mature, sports medicine is an area with the potential for significant international growth. With the market, the US remains to be the largest market with the EU to follow and growing. The APAC region while markedly smaller has a large potential patient population.The top six to seven market leaders continue to dominate the market through technological innovation and investment in establishing strong distribution networks. The major opportunity lies within technological advancement and the clinical trials to prove effectiveness of new techniques. With a team of experienced consultants we are committed to serve our clients in a way which increase their efficiency, reduce costs and saves time. Our professional search engine helps you in finding the best and latest market research report with just one click of the mouse. Our database represents the most updates and latest market research report collections form all the leading market research publishers across the globe.